Alissa Aldrich whose youngest son, Lucas, is diagnosed with Lissencephaly, shares her families incredibly inspiring story and how two sets of brothers give each other life. What would you dream that your children become? For most new parents, the potential for their child to soar is limitless. But for some, the challenges of raising a young child become so much more than good parenting and sleepless nights. 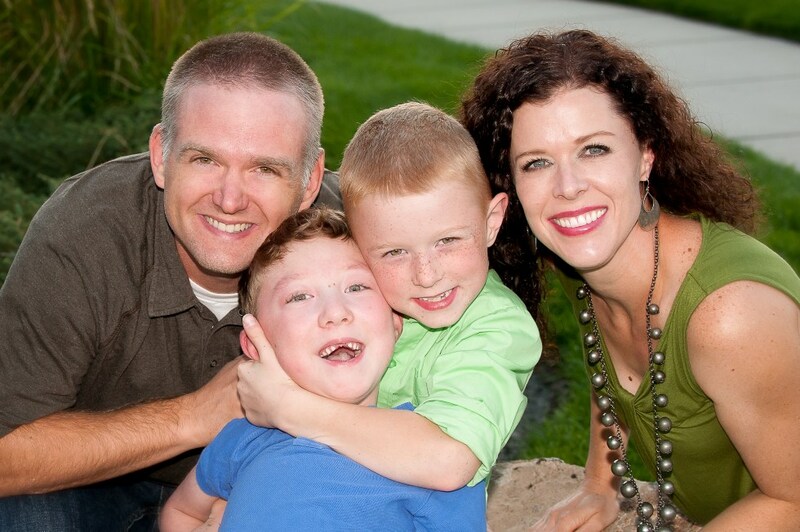 Zidilife sat down with Alissa Aldrich whose youngest son, Lucas, is diagnosed with Lissencephaly – a rare genetic disease that prevents the brain from forming the folds necessary for neural pathways to connect. The name literally means ‘smooth brain’. The disease is terminal, with no known cure. To confront a terminal illness is one of the most tragic human experiences anyone could go through. But to have to watch your child face it – without the strength or experience of life to even begin to deal with their own fate – is beyond comprehension. And yet with no other way out, Alissa and her family found within them the capacity to bear the unbearable. In difficult times it can be hard to know where to turn. Finding someone qualified in Lucas’ case is rare; capable support even more so. When Alissa and her husband did find a specialist, the advice they were given would forever change Lucas and his family’s life. A well meaning specialist could just have easily recommended to be cautious, to play it safe, and not make the situation any worse. But when you have no choice on the outcome, choosing how you get to it is often the most important part. Where others may have seen Lucas’ life path as a straight line, his family have chosen to give him a rollercoaster. 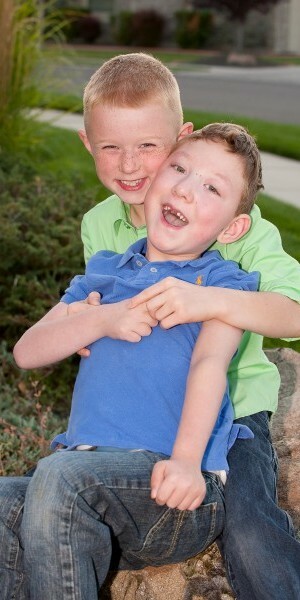 Noah, Alissa’s eldest, has played an incredible role in his little brother’s life. 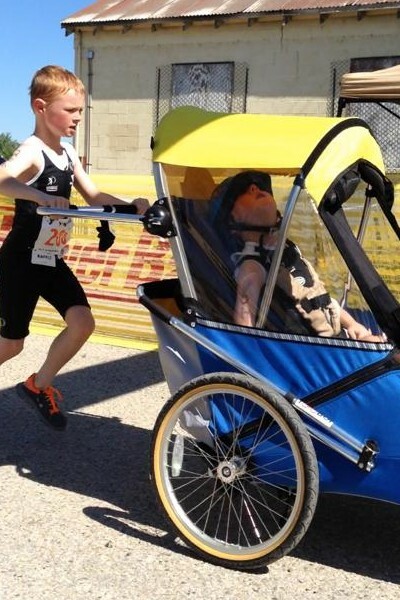 Noah has begun running, swimming, and cycling in mini triathlons – impressive for any child. 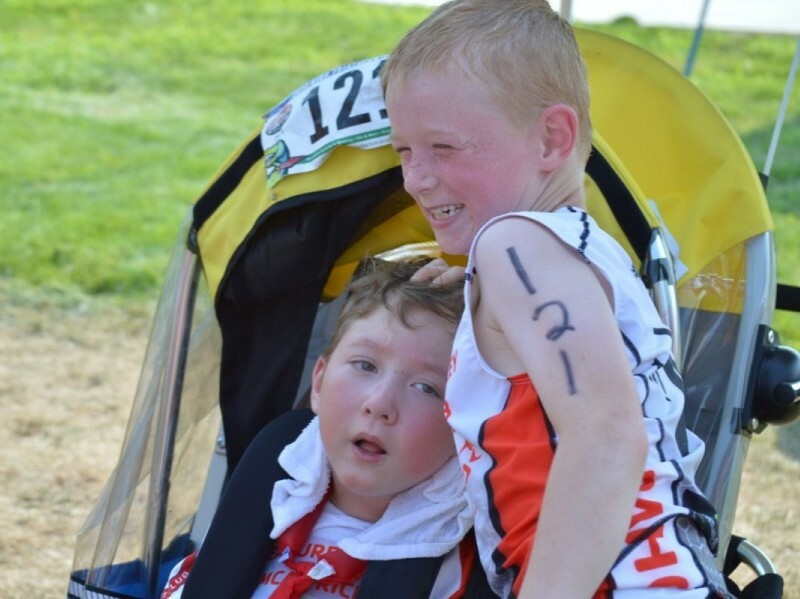 What makes Noah so incredible is that he doesn’t just bring his brother to the event – he brings him in the event, with Noah pulling Lucas in tow, every inch of the way. Noah could barely swim across the pool when he started. He has now finished 3, soon to be 4 triathlons with his brother Lucas. Most of their triathlons consisted of a 200 meter swim, 3 mile bike and one mile run. For any child doing this alone is a feat, but for an 8 year boy to push and pull his 6 year old 50 pound disabled brother takes heart and dedication. No one could ask for more from Alissa and her family – making Lucas’ life fun and happy and full of love is already an incredible contribution. But being aware of the difficulty of giving their own child the care and attention he needs has inspired them to start their own care centre, Lucas House, which will help assist with care for children facing terminal illnesses, and give families the crucial support they need. In difficult times, it’s easy for us to become depressed, hurt, or grieved. It’s easy to place blame around us for how we feel. But then sometimes the adversity we face in our life is so insurmountable, that these emotions are cut off from us. Not because we can’t feel them – we can, and we do – but they lose their usefulness somehow. When despair is so certain, there is little need to despair. And in the face of a certain fate, we may choose to give up – or else we can choose to make the best of our situation – and then some. We may find many of our darker emotions become redundant, and with limited time left, we find the only worthwhile option left is to love. Lucas’ years themselves may be few in number, but the love shared with his family is a lifetime’s worth. While the rest of us look on at their incredible courage, we may find our own difficulties put into perspective. But more than that, their journey can inspire us all to love a little more to those we care about, and with less conditions. While Lucas may face more difficulties in less time than we may ever hope to know, his journey is still our own. Our fate is just as certain. But if we are to have the privilege of time, let Lucas’ life inspire us not to waste a moment of it. "The highlight of my childhood was making my brother laugh so hard that food came out of his nose." "The African is my brother but he is my younger brother by several centuries." "The most dangerous word in any human tongue is the word for brother. It's inflammatory." "God blesses him who helps his brother." "Big Brother is watching... look busy." "If we are not our brother's keeper, at least let us not be his executioner." "My favorite Oscar story was a year my brother had been nominated, my whole family went." "My brother and I are always trying to figure out a way to work again together."